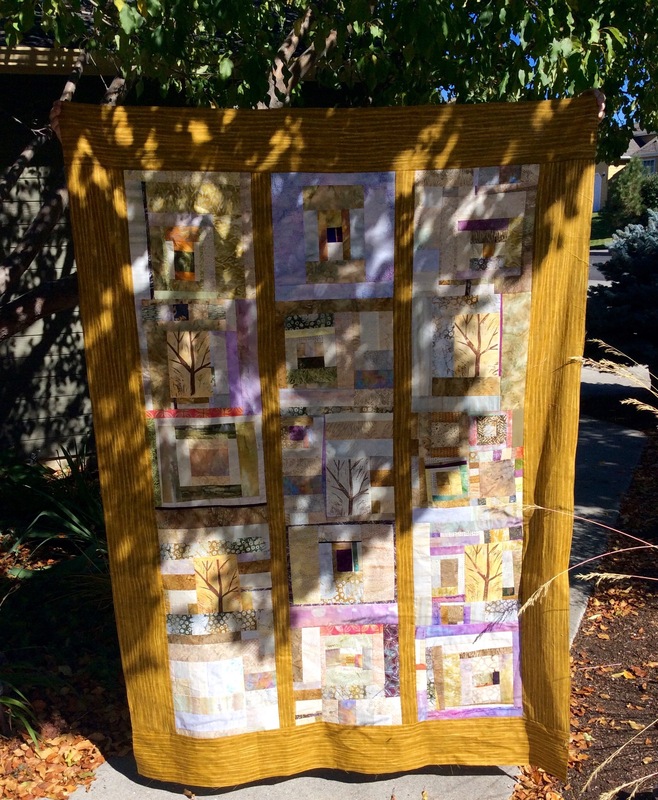 Yesterday the long-arm quilter, Guadalupe Designs, unveiled the quilting done on my piece Abandoned Structure, which is based on an abandoned power plant in Central Oregon that I photographed many years ago. 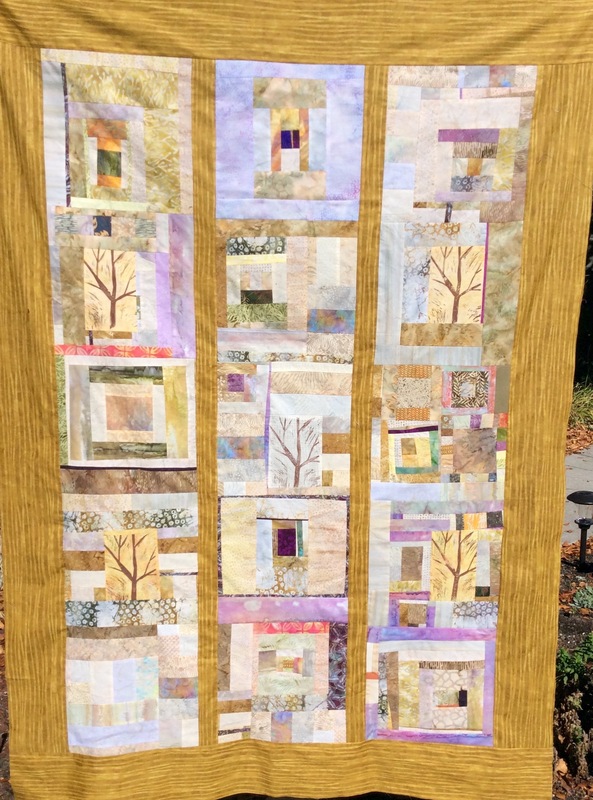 For more on the development of this piece, the story behind it, and the original photo that inspired it, please see the post What’s On the Design Wall: Working Through a New Art Quilt Piece. Once I got it home I stuck it up on the Design Wall (a sort of homecoming from where it originally was born). 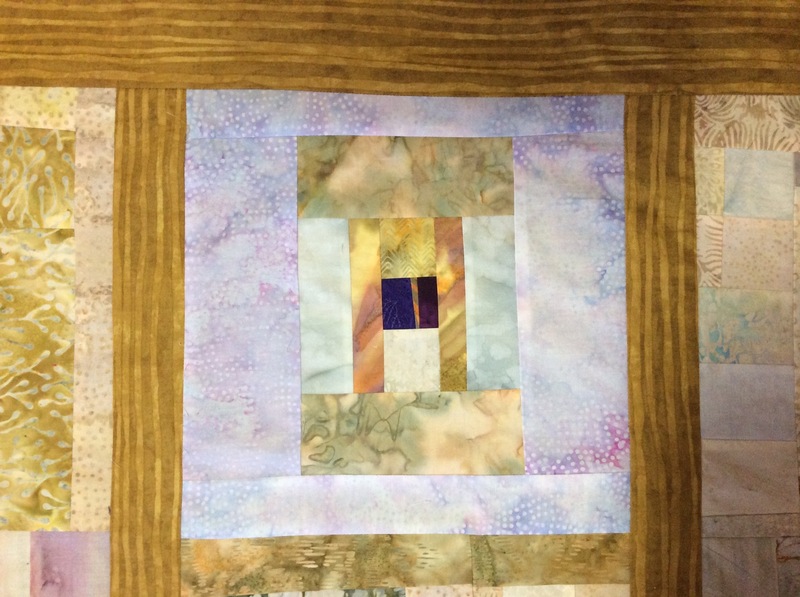 I have not yet trimmed the batting from the edges or put the finish on the edges, but I am enjoying just looking at the piece as it came off the long-arm quilting machine. 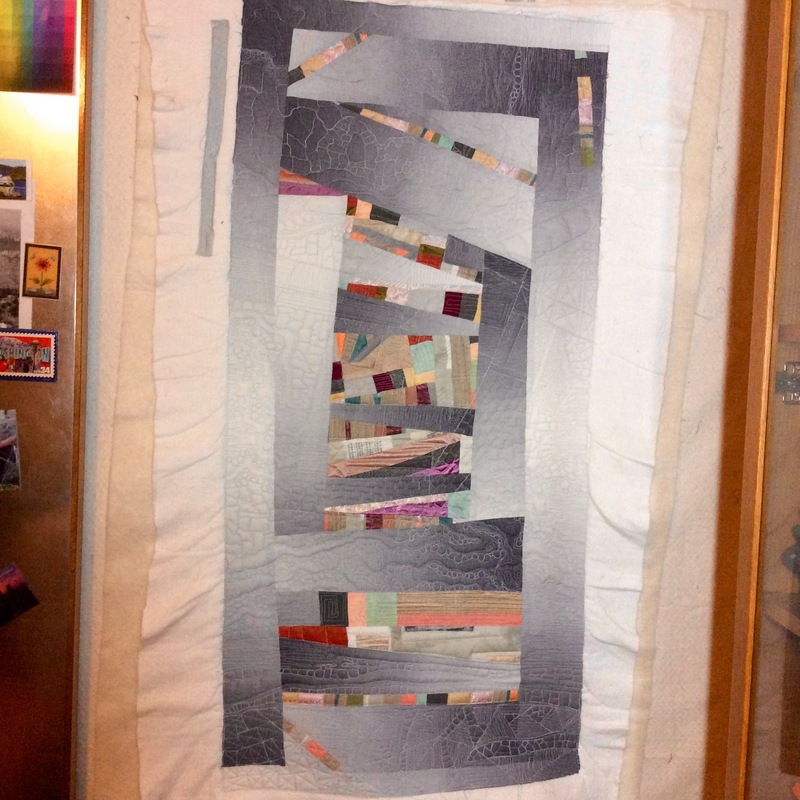 I am excited to add it to my collection of art quilts made from recycled clothing and garment manufacturing scraps.